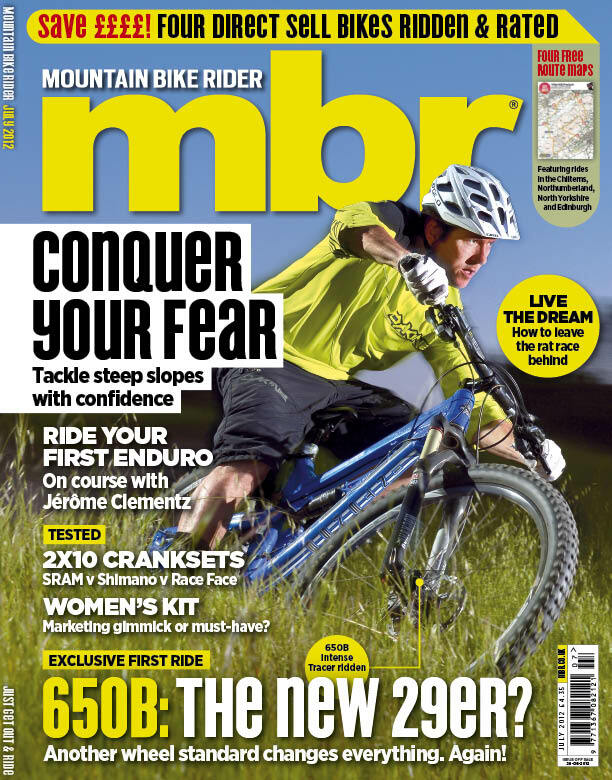 What’s in the latest issue of MBR? It’s in the shops Wednesday 30 May. INCLUDES FREE MBR PLAYING CARDS! Trailhead: The month in pictures. Plus Fox‘ new 34 Float 160mm fork, for 26in wheels. 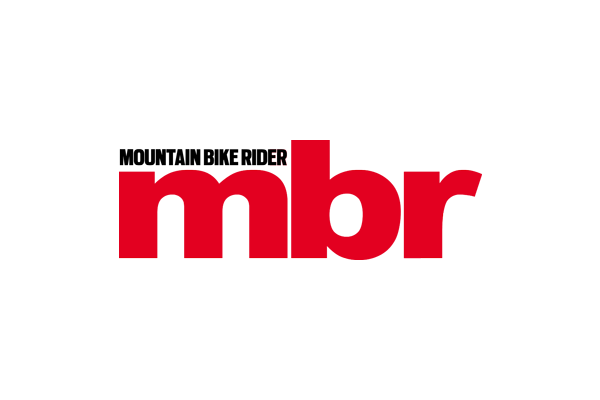 NEW FEATURE: MBR Addicts: people with a passion for dirt. 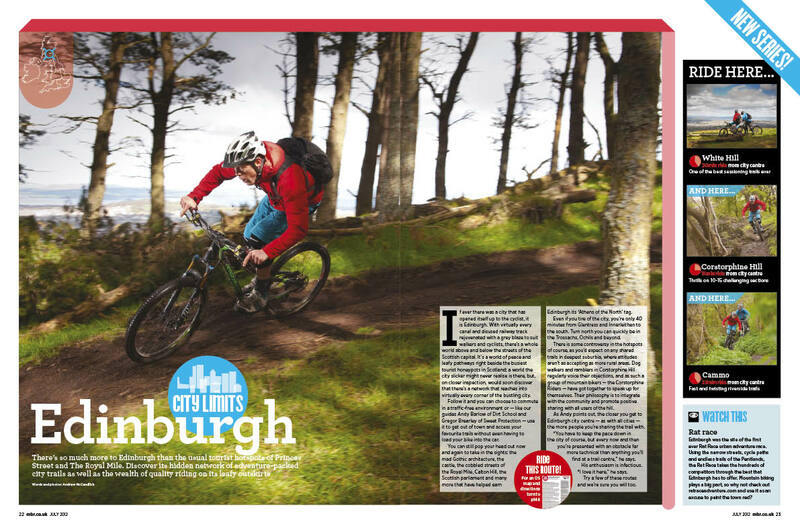 City Limits: Edinburgh. A city blessed with more than its fair share of great riding. Includes a free pull-out route map. First ride: Intense Tracer 27.5in prototype. Hot out of the monocoque press, Intense dabbles in 650b wheels. We get first dibs. First Ride: Cotic Rocket. A new steel suspension frame from the Sheffield-based brand. Tested: POWA-Products DFender mudguard, Spank Subrosa 747 Evo bar, Louis Garneau Carve helmet, Madison Flux 88 shorts, TSG Task pads,E13 LRS+ Dual Ring guide, Maxxis Ikon tyre, Timbuk2 Classic Messenger bag, Ryders Hijack glasses, Onza Greiner tyre, Gore Base Layer Windstopper Boxer Short + and Race Face Indy glove. 2012 Longtermers: Roo plays the field, Chris gets tangled up, Jamie delves into a bush, Ben sticks his tongue out, Henry goes Jacob’s crackers, Janet faces a load of armchair experts and Danny chats to a German chap. Scott Scale Elite 29er, Orange Alpine 160, Specialized Safire Comp, Trek Lush, Devinci Dixon XP, Lapierre X-Flow 412, YT Industries Wicked 150 and Giant Trance X4. Soapbox: Who’s got the keys to ma zimmer? Well it seems Matt Hampton and his dodgy back has. 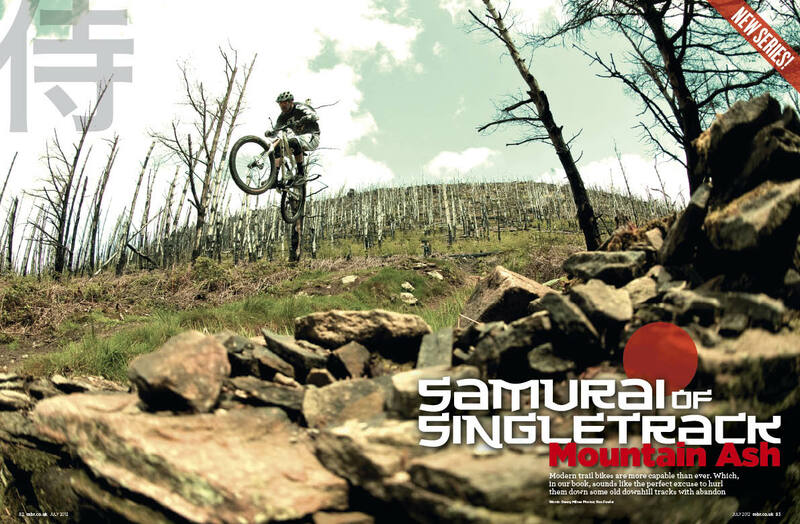 Samurai of Singletrack. 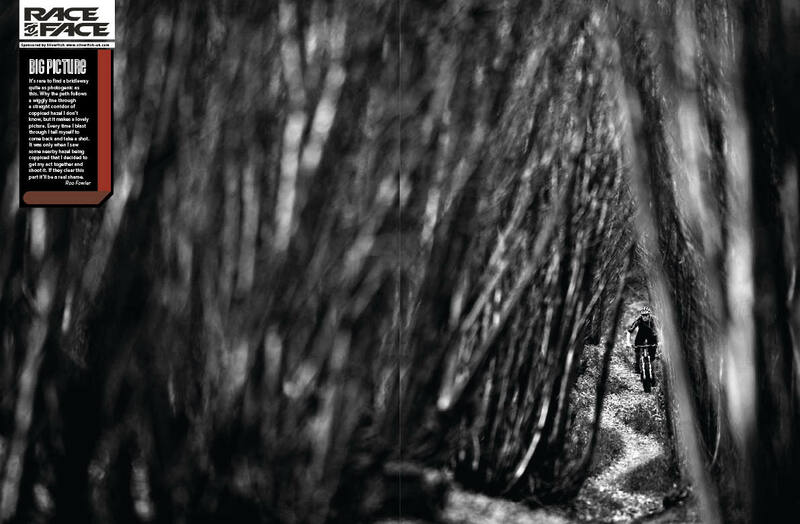 Modern trail bikes are more capable than ever, while old downhill tracks supply the perfect testing ground. Join the challenge and compare your skills on the Mountain Ash downhill track against our staffers and pro rider Dan Atherton. Best British trail centre: Comrie Croft. Nope, never heard of it either. But looking at the photos, where have you been all my life? Best Job in the World? The chance to ride every day on some of the best trails in the world sounds like heaven, but what about the basic wage, long days and endless washing up? 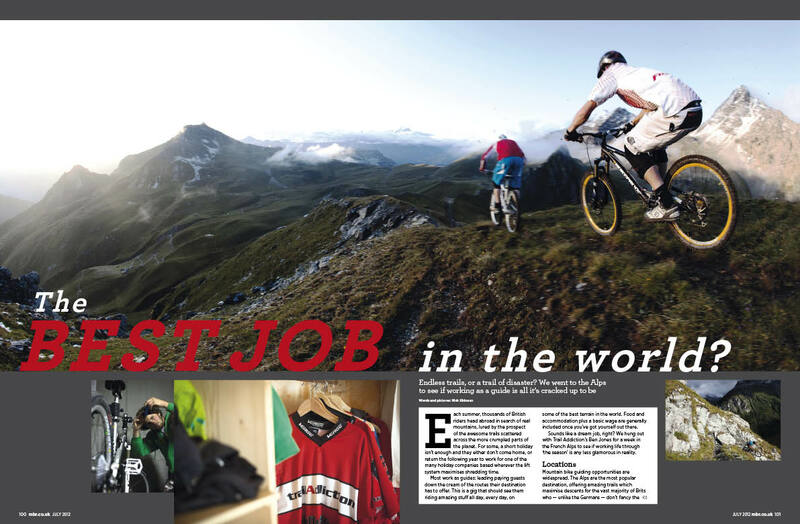 We find out if being an MTB guide is all it’s cracked up to be. Bike test: Cutting out the middle man and buying direct saves you money, but are the bikes any good? 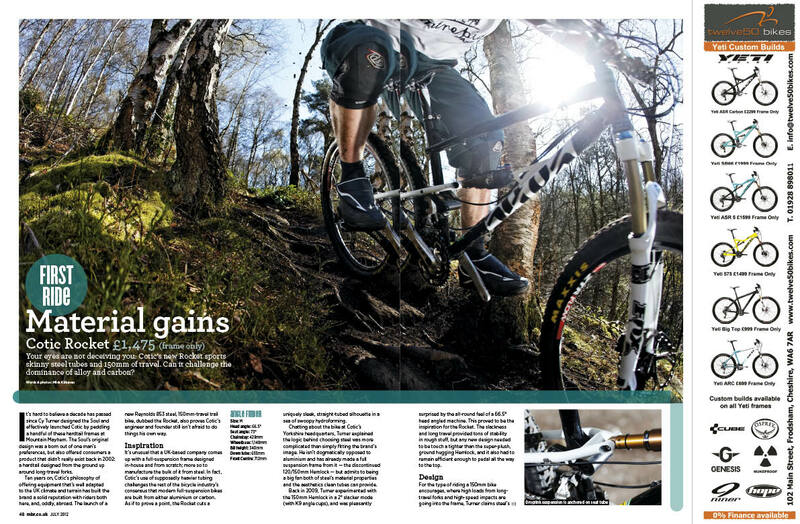 We test a Canyon Nerve AM 8.0 X, Jamis Dakar 650b Comp, Rose Granite Chief 6 and Stevens Glide SX. Grouptest: Gender Bender. Is female specific kit anything more than a marketing gimmick? Janet Coulson cross dresses in a variety of men’s and women’s garments to find out. Grouptest: 2×10 chainsets from Race Face, Shimano and SRAM. How to: Megavalanche winner Jerome Clemantz shows you how to prepare for your first gravity enduro race and Chris Ball reveals the secrets to steep, loose scree slopes. 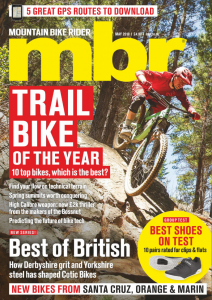 Shop smart: stuff we thoroughly recommend from 29ers to 120mm full-suspension bikes along with waterproof trousers, pumps, knee pads and energy drink. Q&A: tech. How to convert fro nine to ten speed on the cheap, Tektro disc brake problems solved and the secrets of clamping an Easton Top-Lock stem. Workshop: Fit a RockShox Reverb seatpost including a hose trim and bleed. Plus nine essential Reverb tips. PLUS – Four free route maps: rides in the Chilterns, Yorkshire Dales, Pentlands and the Northumberland.